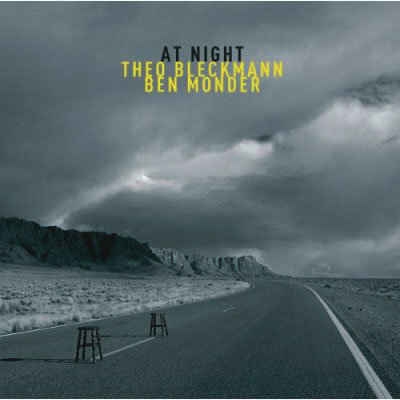 On At Night, the duo’s second recording, Theo Bleckmann and Ben Monder make the kind of music that critics often describe as genre-defying. Bleckmann, a vocalist who also contributes what he calls “live electronic processing,” sings in an off-kilter style that is reminiscent of Gastr Del Sol’s David Grubbs and Shudder to Think’s Craig Wedren, two of post-punk’s artiest crooners. And Monder, an electric guitarist, alternates between lighter-than-air melodies and distortion-rich atmospherics that suggest no one so much as John Abercrombie. Together, they sound otherwordly. It’s tempting to just say that this record is a beaut and leave it at that. 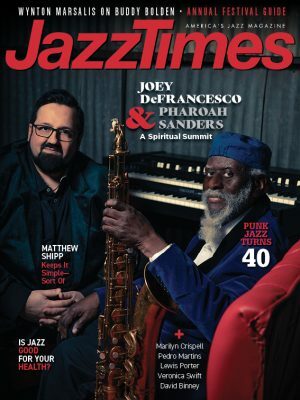 But music this unusual requires a caveat. You see, for all of its gorgeousness-which is, on several tracks, bolstered by drummer Satoshi Takeishi-At Night’s vocals are an acquired taste. Bleckmann gives the lyrics odd shapes, and his higher-pitched moments make Joni Mitchell, whose “Sunny Sunday” is covered here, seem sort of butch. None of which makes this record any less good. It just makes it different-or maybe more mysterious. And the lyrics only add to the enigma. “No light and no land anywhere,” Bleckmann sings on the opener, “Late, By Myself.” “Cloud-cover thick/I try to stay/just above the surface/yet I’m already under/and living within the ocean.” As far as themes go, it’s a pretty good way to introduce a record that rewards unskeptical submersion. Knowing what to call this music doesn’t make it any more enjoyable. Sometimes it’s best just to dive right in.